Search and e-mail are the top two Internet activities – SEJ. You have a query, what will you do? You enter this query in search engine like Google, Bing, Yahoo etc. (to get answer) and hit the search button. Now you get a list of results relevant to your query. Have you ever wondered why some of these websites rank better than others? It is because of Search Engine Optimization (SEO). To get good ranking, you must optimize on-page factors properly. 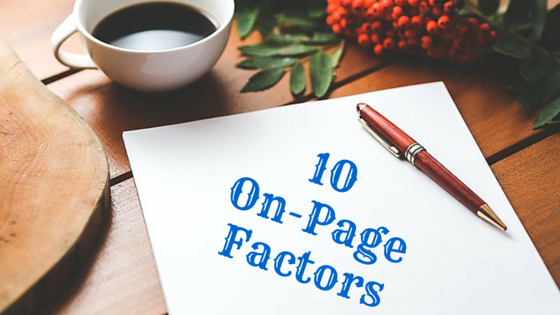 On-Page factors help to grow organic traffic. Here we’re discussing some important on-page factors. This is most important on page factor. A website with good content can become even better with SEO. Quality is always king. Search engines don’t like duplicate content because it is bad for visitors. Content must be original which offer valuable information to users. Human Readers First!! Deliver the relevant content to right users, Always remember – SEO about User Experience (UX). So, just focus on users! People want to read the content which satisfies their query. If this is your content & unique then it must published on your website first. Good Content is linkable and attract plenty of links from other sites. Increase visibility and ranking in search engine. Content should contain relevant keywords. This helps search engine to understand the content. But you have to avoid keyword stuffing, this is not good for your site (Google panda update). Try to keep your keyword density to 2-5%. This is another important on page factor. It is the first thing that both search engine and users read. It is a helpful factor to improve ranking as well as click through rate (CTR). It appears in Browsers, search engine result page(SERP) & external websites. URL structure is important factor. This describes a page to user & search engine. URL should contain target keywords. In your URL, dynamic parameter should not more than two. Use hyphens to separate words in URL when necessary. Don’t overuse of hyphens in URL. Use search engine friendly URL or permalink For instance, instead of http://mydomain.com/product.php?cid=1&pid=5 (dynamic URL, both search engines and users don’t like these type of URLs, these don’t tell much about the page content), you can have http://mydomain.com/seo/on-page-factors/ (Static URL – it tells what the content of page). Most of site owners use sub-domains (email.site.com) which look cooler but these are not good for SEO perspective, because it treated as different domains by search engine crawlers. In order to boost site’s visibility and performance you must use sub-directories (site.com/email). Images are mandatory and very essential part of any webpages. Like you need a good hairstyle, dressing and little make up to look good, images and visuals are make-up tool for your website. These make your website more impressive. Use original images, if you use image from the web you need to reference the source. Use ALT tag & description to describe the image, this helps search engine to understand the image. By using Alt tags, crawlers index the information provided by the images. Images and visuals are the great way to make your website more appealing. Visuals are very helpful to attract visitors to your website. Page load speed matters to deliver the best website experience to users. It is very essential part to rank well in search engines because it became a part of Google algorithm. According to Google, site’s speed improve site’s ranking in search engine and also improve user experience. To check your page speed, try this tool – Page Speed Insight. It analyzes the content of a web page, then generates suggestions to make that page faster on all devices. Google’s recommended page load speed – 1.4 seconds or less. Internal links are links that go from one page on domain to different page on same domain. Internal links use both keyword & non keyword anchor text. By using internal links crawler knows about other pages & index these pages. This factor reduces bounce rate & increase no. of pages per visit. Businesses with websites of 401-1000 pages get 6x more leads than those with 51-100 pages. Try to use some meaningful set of phrases based on targeted keywords instead of using generic words “Click Here.” For instance, “How to Make Search Engine Friendly Website” is more effective than “Click Here to Learn More”. This is a text file that put on site to tell search engines which pages not to visit & search engines do not index these pages. The location of robots.txt is very important, it should be in main directory. Because search engines first look in main directory & if they do not find it there, then search crawlers index everything. This is at its early stage but using this, your ranking may change. So you have to create a Google+ account & publish relevant content on the web with your profile. Your ranking depending on how many followers you have. in modern SEO, social media plays a key role to get traffic, good ranking and customers. SEO also depends on social activities. So Be Smart, Be Social! Create profiles and business pages or channels on different social media platforms – Facebook, Google+, Twitter, Linkedin, Instagram and YouTube. Add social buttons on your website, web-pages and blog page. Make it easy to share and like your content, so easy your baby could do it! If We’ve missed any important on-page factor that you love or you have any queries, please let me know what they are by leaving a comment below. On-page SEO factors for online success is key to increased online rankings. Yes, these should be well optimized but it takes the skill of knowing what to actually apply. The ten factors discussed in this post are truly on track. At least, they will guide bloggers who are just starting out! I am glad to know that you found this post helpful. SEO is the technique which help to increase the visibility and reputation in Search Engine. Thanks for coming by and sharing your views. Have a great day ahead! This is a great reminder of how we should optimize each of our blog posts. Out of the 10 you mention I put an effort in 8 of these tips. Just with those 8 has helped me generate some traffic from search engines. I’ve actually have had a couple of commenters tell me that they found a couple of my blogs through Google. Thanks for sharing Pawan! Have a great day! It’s good to know that you are getting traffic with help of these factors. Thanks for stopping by and sharing your views with us. Have a great day ahead! All these 10 points are essential for on page SEO which are in our hands, we can’t fix off page SEO but on page SEO is completely depended in our hands, if we don’t take care these factors then we may not rank better in search engines. As of now I am following all the above tips for on page SEO in my blog, thanks for sharing the valuable information which are mandatory to follow search engine rankings. 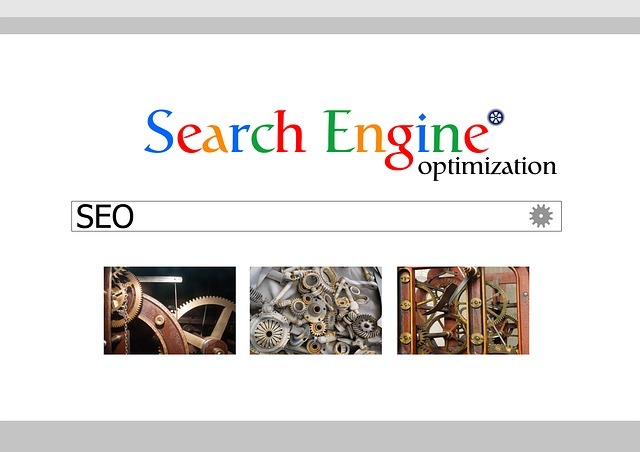 On page SEO factors play a key role to rank better in major search engines. It’s nice to know that you’re following all these factors. Thanks for sharing your comment. Have a nice day! You have covered the important aspects of On-page optimization. If done properly, we can find our blog ranking high in search engines. I agree with you that images are a great part of the optimization process because when done correctly they can drive traffic to our blog from image search. I fully agree with you, images and visual are key part in SEO and UX perspective. I am glad to know that you liked this post. Thanks for commenting and have a nice weekend! On page SEO is very important when it comes to ranking high in google. I have read a lot about on page SEO and have become very knowledgeable about on-page SEO. This is a very relevant and good post and I agree with every tactic mentioned here. I just recently learned about internal linking and have been using it quite faithfully now. Thanks for stopping by and commenting. I agree that on page SEO is very important for website visibility. I am glad to know that you liked the tactics mentioned in this post.